My latest smoothie is sludgy swamp green, but don't be fooled, it's really refreshing. This is my entry for this month's No Croutons Required. Yes, it's usually a soup and salad challenge, but if you think about it, a smoothie containing veg is a bit like a smooth raw soup. If you would like to join in, post your own smoothie, which should contain at least one piece of salad or veg. Think carrots, spinach, cucumber, avocado, courgette........ I have a list of ideas on my No Croutons Required announcement post, where you can also add your creation to the linky. You have until the 20th to join in. My smoothie is made of strawberries, spinach and cucumber. Just in case you are wondering, I got my gorgeous glass cappuccino cup and saucer from Whittard. Such an elegant way to serve a smoothie, don't you think? 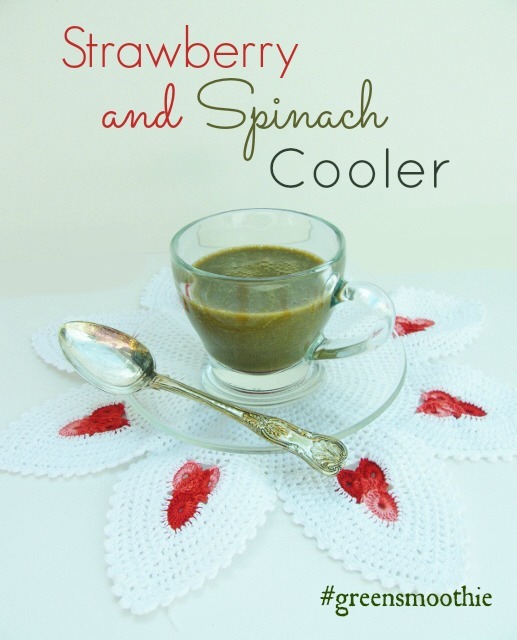 Fresh summer strawberries whizzed up with baby spinach and cucumber to make a refreshing and healthy green smoothie. 1. Rinse the strawberries, spinach and cucumber and pat dry.2. Whizz all the ingredients in a blender.3. Add a few ice cubes, if you have a powerful blender.4. Enjoy! Disclosure: I was sent the cup and saucer by Whittard, I was not required to give a positive review and any opinions expressed were my own. I typically would have a hard time swallowing something this green lol,but it looked so simple, had to try it, thank you this is a new go to treat for me, cheers! It's really good. I do love green smoothies now. They are so interesting and have such depth of flavour. Oh now I've never added cabbage to a smoothie. Would have to think about that. I'm intrigued by this recipe. 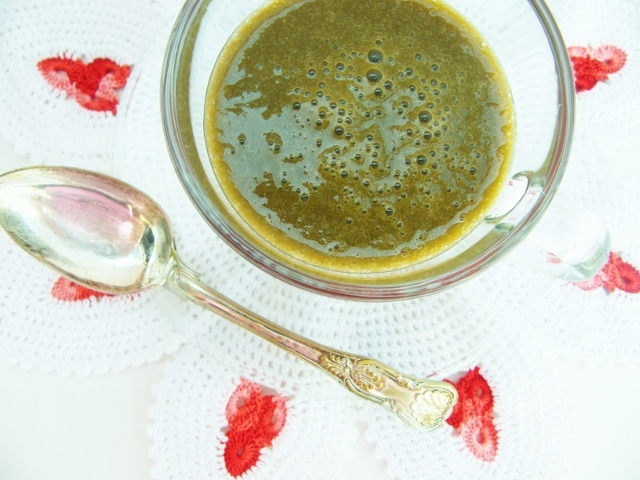 I'm just like Diane Smith, I typically would really have a hard time swallowing something this green but I have to admit that I loved the idea of combining strawberries and Spinach. Will try this recipe sometime soon. Yum!!! Looks sooo good! Cannot wait to try this baby out! Now this is one healthy smoothie!Maybe a few more strawberries for me just to have it a bit sweeter, or even add a kiwi fruit. Looks full of antioxidants and very green and lush, I think I need one of these as it's getting a bit cold and sniffly in these parts.